Redirect: You have been redirected from Building Block Resources to our new documentation site Learn. 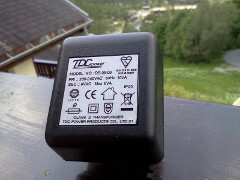 The transfer ratio of the current transformer. The value of the burden resistor. The accuracy with which the burden voltage is measured. An initial uncertainty in the value at the time of manufacture. Drift due to physical changes over time. Calibration is a means of correcting the first of these, and if performed regularly, it will also correct for the second. Unless you are able to remove or shield your device from external influences, there is generally very little you can do to counter their effects. A full appraisal of the sources of error in the emonTx measurement is here. In the worst case, the measurement of real or apparent power could be in error by nearly 11.25% without calibration (emonTx V3.4.4). With calibration against a reasonably-priced multimeter, the accuracy should be around 6%. This procedure is not applicable to the emonTx V3 using the default sketch. 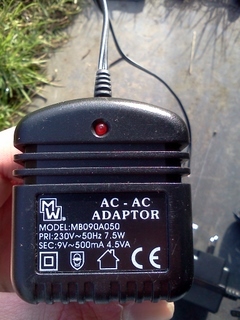 For all other variants, it is recommended if you are using batteries to power your emonTx; it is optional if you are using a mains power supply. You should do this first, before adjusting the calibration constants. If you change the calibration of the internal reference, the calibration constants will need to be corrected. Looking at the table in the Multimeters article, every meter gave the best accuracy when measuring the 3.3V supply, and the worst had a possible error of about 1%. In the emonLib library, we have a method that can measure the supply compared to the internal reference. Therefore, using this method and measuring the supply with a multimeter, it is possible to calibrate the internal band-gap reference to the accuracy of our multimeter, simply by changing the constant “1126400L” in readVcc( ) so that it returns the same value as the multimeter. A simple sketch CalVref [download] to calculate the calibration constant given the measured value of VCC, is all that is needed. 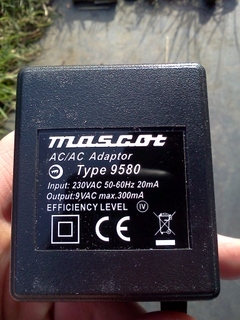 When we do this, we dramatically improve the accuracy within which the value of the internal band-gap reference is known, hence the accuracy of the battery voltage. A multimeter or voltmeter to measure your mains voltage. The same multimeter or an ammeter to measure current. A resistive load. e.g. a kettle, electric heater, etc. The load should draw a current close to, but less than, the maximum your meter can measure. Using a small test load such as a 40, 60 or 100 Watt light bulb will NOT produce correct results. If you do not have a multimeter, or you are not confident that you can measure your mains safely, you can use a plug-in energy meter. In that case in the procedure that follows, you use the energy meter's readings for voltage and current instead of the multimeter's. If you don't have any form of meter, then see below for common calibration coefficients. You might then, over time, be able to make small adjustments so that the total energy recorded agrees with your energy supplier's meter. If you do not have a programmer and can only edit emonhub.conf in your emonPi, skip to "Calibrating in emonhub.conf". If you wish to fully calibrate your emonTx, emonTx Shield, Arduino or something else, or you are sending data to emonCMS.org without using the emonPi, continue here. Take great care when working with mains voltages. 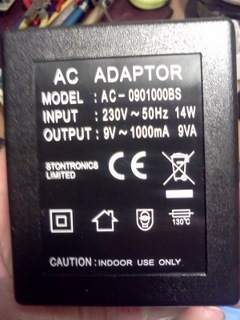 If you are using batteries to power your emonTx, you should calibrate the internal reference first. 1) Load one of the demonstration sketches from emonTxFirmware. You will need to choose the one appropriate to your version of the emonTx. If you have the emonTx V3, use the default sketch (check the Wiki to see which that is), but you will need to add some print statements in order to read separately the values for current and power factor. Note, however, that some special-purpose sketches have their own particular calibration procedure. Where this is the case, it will be described in a comment in the sketch. so that the current reported is the same as the current you measure. Check the instructions for your meter in case there is a time limit for making the measurement. If there is, you must make the measurement quickly and allow sufficient time for the meter to cool before repeating. so that real power and apparent power read the same value (and power factor is as close to 1.00 as possible). Your meter is not needed for this. 5) Check the voltage calibration again. It might need a slight adjustment if the phase angle calibration was altered significantly. Recheck the phase angle calibration. You will first need to determine the error in your present measurements. If you have the appropriate measuring instruments, you will be able to measure voltage and power to establish the correct values. If you do not have these, then you might be able to estimate the error by comparing against your energy supplier's meter readings, for example. refers to the emonPi. Further down the page are similar blocks for emonTx's (various sketches), emonTH etc. However, whilst “scales =” can be used to adjust the amplitude calibration, you cannot adjust any of the values in emonHub to correct the phase error. Important note: The voltage and the three power values are calculated before being sent to emonHub, therefore there is no interaction between any of the scale factors. This is also true for the emonTx. The CT has a stated accuracy of ±3%. The CT burden resistor is a 1% tolerance component, so the total error should be less than 4%. Therefore, the expected range for the CT calibration for the emonTx is 106.66 – 115.54 (58.18 – 63.02 for the emonTx Shield), provided the internal reference has been calibrated accurately. Because the emonTx V3 firmware does not use the internal reference by default, an additional 1% must be added for the voltage regulator tolerance and so the expected range should be 86.35 – 95.45. Note: The values are derived from manufacturer's data and are subject to normal manufacturing tolerances. The coefficient might be in error by up to ±6% (77DA-10-09 & 77DE-06-09) or ±4% (77DB-06-09) when resistor tolerances are added. See EmonTx errors for a full analysis of the sources of error in the emonTx. 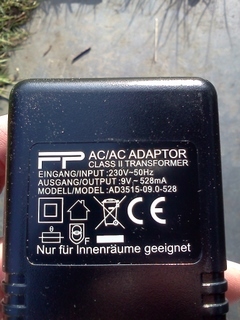 See Different AC-AC Power Adapters for more detailed information on the different AC-AC adapters. See CT and AC power adaptor installation and calibration theory for detailed information on the theoretical basis for the calculation of the calibration coefficients. 8. The sketch explained in detail.